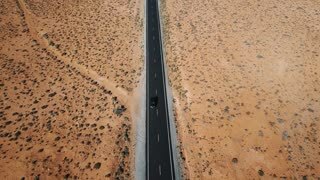 Top view drone zooming in on white truck going by camera on beautiful highway road in the middle of sandstone desert. 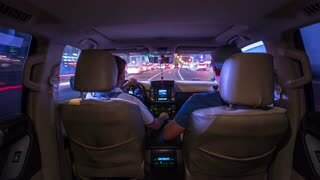 Drone follows minivan car moving along concrete highway in the middle of wild green forest hills covered with trees. 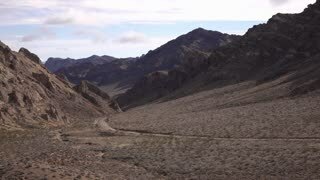 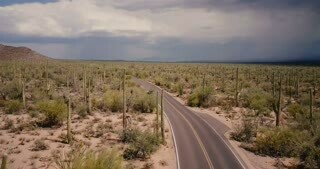 Aerial shot of cars and white truck driving by camera on beautiful highway road in the middle of sandstone rocky desert. 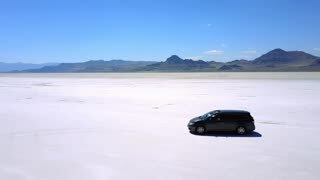 Aerial shot of silver minivan car standing in the middle of Bonneville salt lake desert flats, drone making sharp moves.